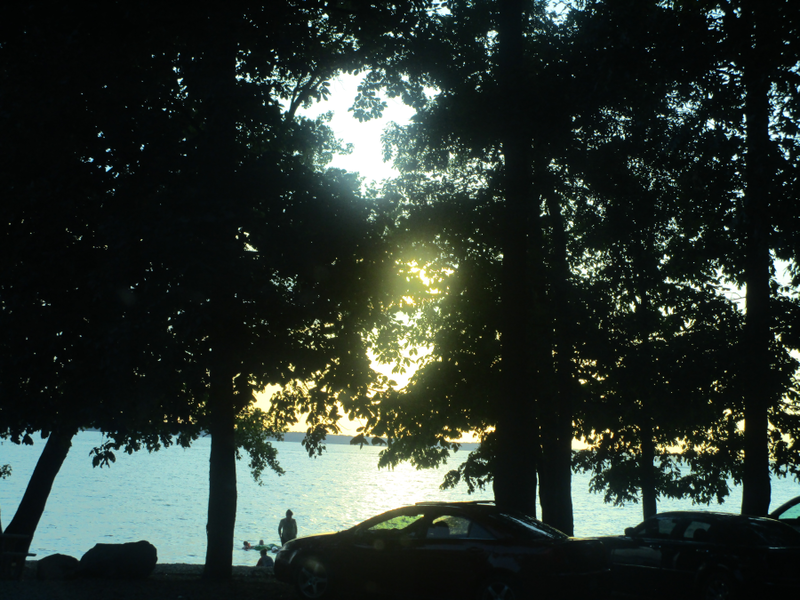 Kentucky's Land Between the Lakes (LBL) has so many things to do, see, and photograph. On the following pages, you'll find the proof! 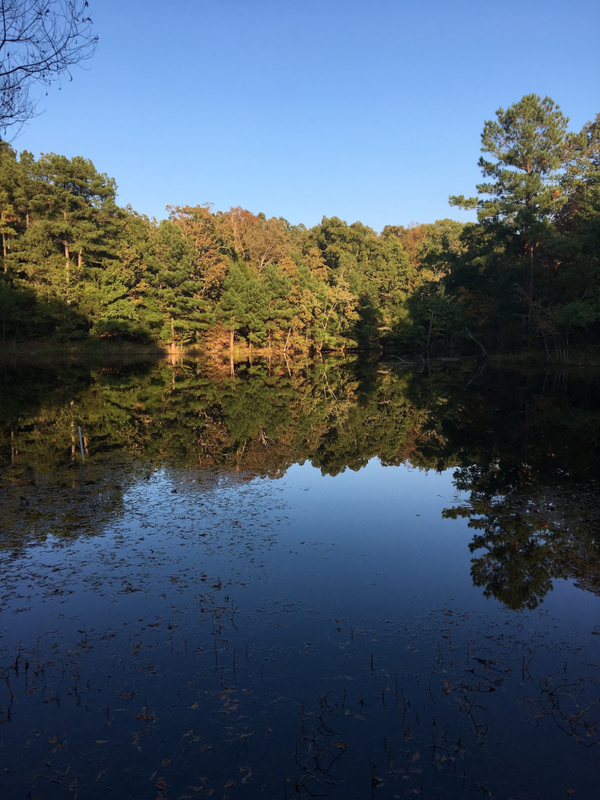 Cedar Pond: Showing Off Its Autumn Beauty…. When we’re in the beautiful Land Between the Lakes (and, if you read Genuine Kentucky regularly, you know that’s often), we have a routine that my husband has come to expect. I MUST be driven to Cedar Pond where I can get out and have fun with my camera. If there are people (how dare they visit my pond??!) at the pond, we simply drive around until they’ve vamoosed. Like the Homeplace 1850s Working Farm, Cedar Pond is just across the Tennessee state line in the LBL. Like the entire LBL, this is an absolutely gorgeous little spot. Winter, spring, summer, fall – it doesn’t matter, Cedar Pond never fails to take my breath away. It’s the very definition of peacefulness and, let’s face it, in the world today we need all of that we can get. I love the way the trees along the far side of the pond reflect in the water. The pictures in this post are from this autumn (just a few weeks ago), so the reflections were especially colorful. When you get out of your vehicle (or off your bike!) and walk around, you’ll find even more to see and love… you may even find something that makes you say, “Eeeekkk!” and run like you’re in a race. 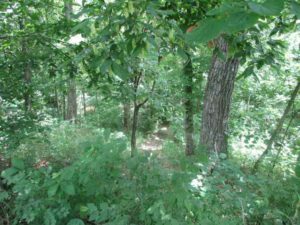 On this particular trip, I saw a snake skin and before my brain could notify my feet that there was, in fact, no one home… my feet were already in motion. I probably looked like one of those cartoon characters who actually come off of the ground as they start to motor. Suffice to say this gal has an unreasonable, unhealthy, unequaled, and undeniable fear of snakes. Next time you’re in the Land Between the Lakes, be sure to stop by Cedar Pond. I can’t say enough wonderful things about this quiet* little spot. * Quiet – unless a certain Kentuckian is shrieking and running to her husband. When she isn’t around, it’s beautifully quiet. 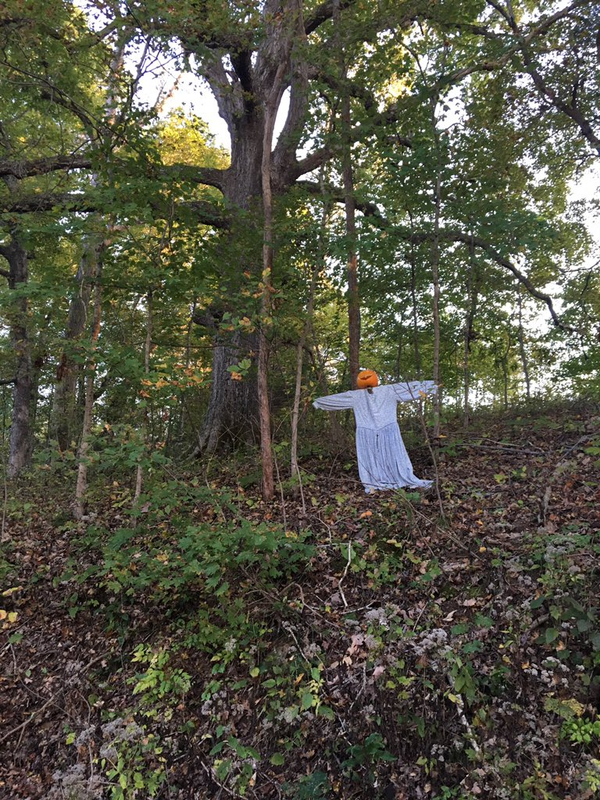 We make just about all of the special events in the Land Between the Lakes – especially the ones involving the Nature Station, the Elk & Bison Prairie, and The Homeplace, so you’d better believe we were at Snap Apple Night last Saturday night. 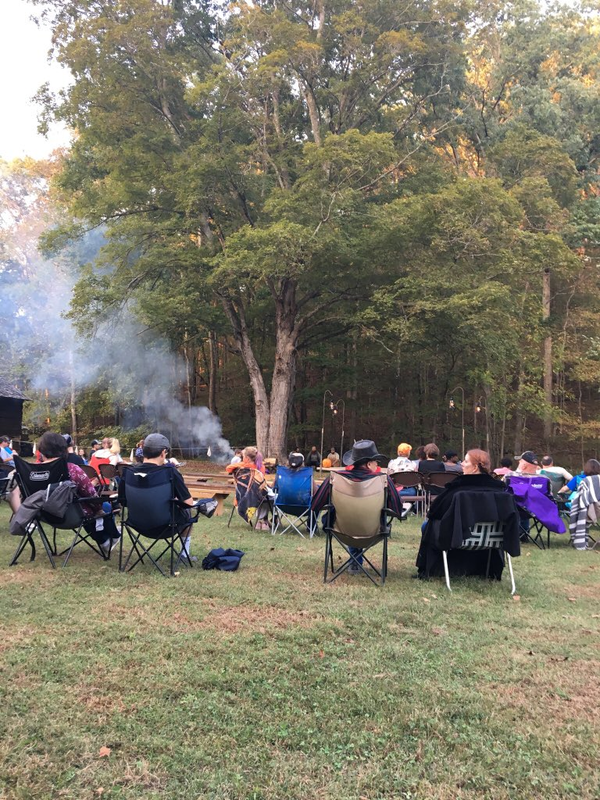 Guests gathered around the bonfires and got all comfortable and cozy while storytellers Robert Valentine and Jamie Futrel told stories (a few that were in the spirit of Halloween). 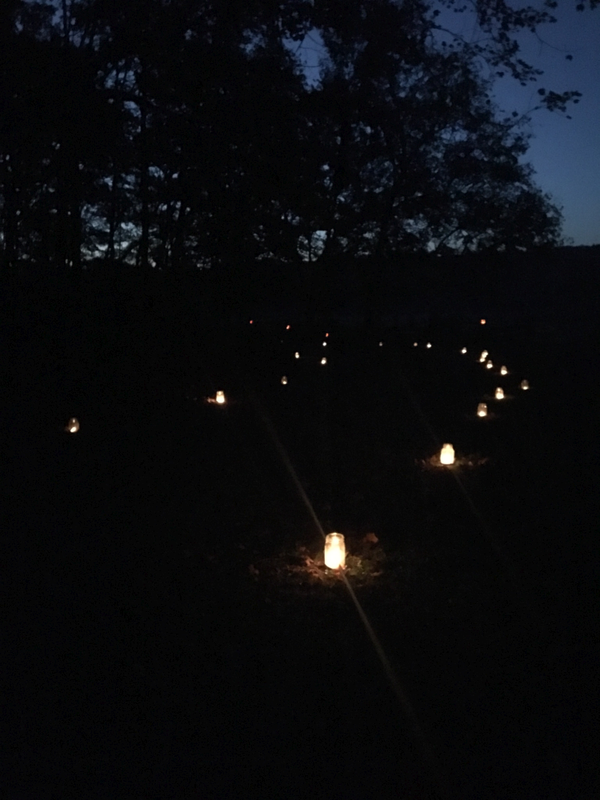 Like any event the Homeplace takes part it, the night was absolutely wonderful. God helped with some extraordinary weather, too. They even had hot apple cider to drink – it doesn’t get much better than that! The “Working Farm” was decorated beautifully – fortunately we got there before it got dark so we could see everything. They did an outstanding job – as they do with everything, if we’re being honest. When the sun went down, the lanterns and bonfire added to the ambiance perfectly. Everyone involved did an exceptional job of making the night extra fun and memorable for guests of all ages. There’s just something relaxing, fun, and (very) memorable about a night like this. Sitting back, sipping apple cider, and listening to wonderful stories. The storytellers were absolutely excellent. Jamie Futrel and Robert Valentine were both VERY funny and beyond interesting. I love a good story, so I was completely in my element. Robert Valentine had an extra, extra special gift that I’m not sure I even knew existed. Heck, maybe he invented it. He was superb – and I mean SUPERB – at telling wonderful stories that seemed to be written especially for children and especially for adults. Seriously, you could have set him and his stories in a roomful of children and they’d have been a perfect match. You could have set him and his stories in a roomful of adults and they would have been a perfect match. Now, while this is a great and commendable gift to have with ANY story… it is an absolute GIFT (all caps) when it comes to “scary” stories. When I saw all the kids at the event, I kind of wondered how everything would play out. As a mother, I know all too well that young people may “think” they want to be scared out of their wits, only to regret it terribly once their wits begin to get away from them! I have to admit, I sort of wondered how many kids would be having nightmares that night! This would be a problem I’d soon realize didn’t exist because Robert Valentine, after all, has the GIFT. The one he just may have invented. 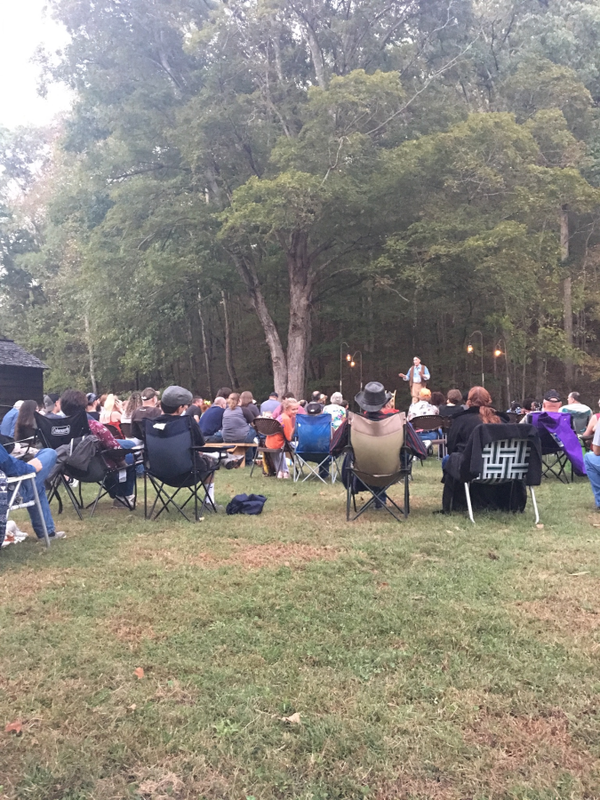 He was able to tell two very interesting, colorful, and “edge of your seat” type scary stories that had all the kids and all the adults spellbound. Best of all, they ended just the way they should have – in a manner that ensured zero nightmares. 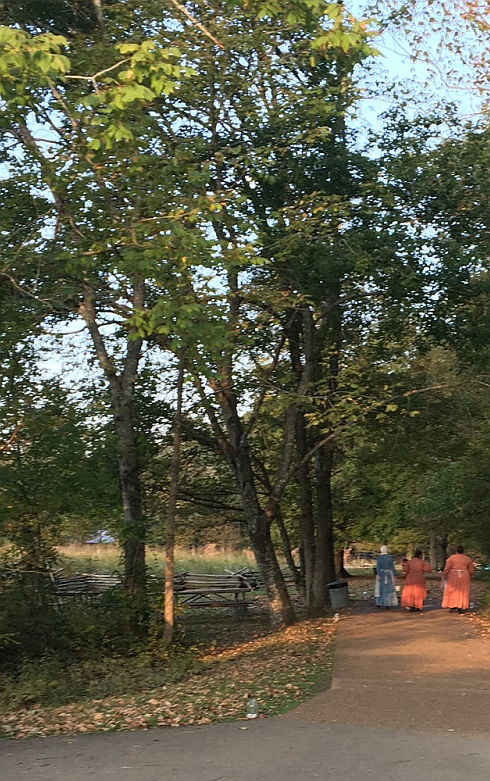 Whenever you read about an event at the Homeplace, just go ahead and mark your calendar and go. They do not do anything second rate. I’m not sure they’d even know how to go about it. The Great American Eclipse is almost here – it seems like just yesterday it was months away. Then again, Christmas is 4 months from today! 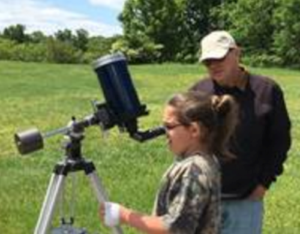 The Land Between the Lakes offers year-round events, educational programs, and entertainment for the whole family – so it’s no surprise that they have the eclipse covered as well. Land Between the Lakes National Recreation Area will offer prime viewing locations for the Great American Eclipse on August 21 and “Sun and Moon Days” August 16-23, 2017, a series of programs throughout the 170,00 acre area to celebrate and educate about this amazing natural phenomenon. The duration of the total solar eclipse at this location will be two minutes, according to NASA (https://eclipse2017.nasa.gov/eclipse-maps). Other viewing areas in Land Between the Lakes are listed at https://landbetweenthelakes.us/best-2017-eclipse-viewing-areas/. Eye protection is vitally important during this event and viewing glasses are available now at Friends of Land Between the Lakes gift shops and campground outposts. Sunglasses are not adequate. “Sun and Moon Days will feature eclipse related programming at three facilities,” according to Laird. Golden Pond Planetarium and Observatory will show TOTALITY (which is already in the weekly schedule), at 11am and 2pm, August 16-23, to teach about eclipses. There will be an eclipse star party at 8:45 pm on August 19 and solar viewing from 10am – 4pm on August 20 and 21. A Pink Floyd laser extravaganza will be offered on August 18 and 19, at 5:30 and 7pm. 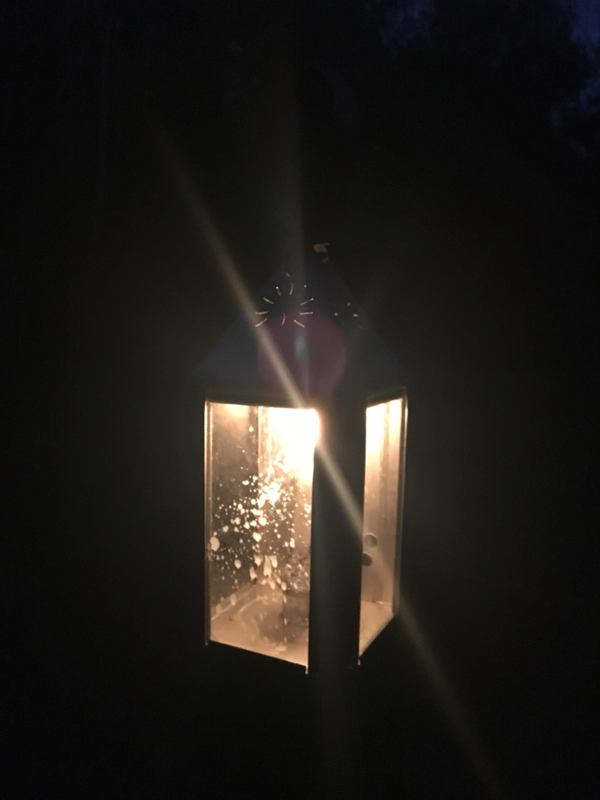 The Homeplace 1850s Working Farm will feature Life by the Sun, Moon and Stars, weekdays, 2-3pm, which will show how farm families looked for signs from celestial bodies. The Storytelling event will be August 19 from 6-7:30pm. Talented presenters will weave tales of the eclipses from the past. This special event is not included in the regular admission price. Cost is $5 for adults and $3 for children. Doors will open at 5:30pm. View the eclipse from the Homeplace on August 21 and be part of our watermelon social from 10am – 4pm. 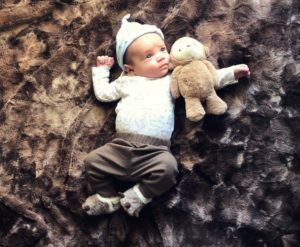 Woodlands Nature Station will offer Daytime vs. Nighttime Animals, weekdays at 11:30 am, August 16-23. 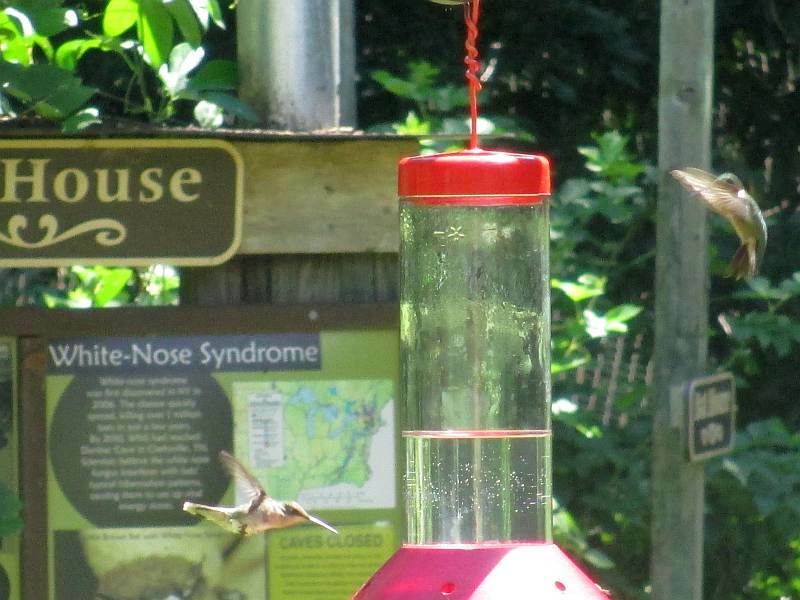 There will also be Mornings with the Hummingbirds, 10-11am on Thursday, August 17, and Tuesday, August 22. Reservations are required for the Sunset Canoe Trips, planned for August 18 and August 23, from 5:30-8pm; and the Hummingbird Café, planned for Saturday, August 19, 9-10am. 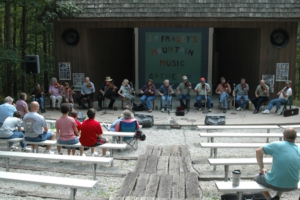 Snakes of Land Between the Lakes will be discussed from 11:30am – 12 pm on Sunday, August 20. For more information, visit https://landbetweenthelakes.us/solar-eclipse-2017/ and https://eclipse2017.nasa.gov/. To find more information about Land Between the Lakes, log on to the official website atwww.landbetweenthelakes.us or call 1.800.525.7077 or 270.924.2000. 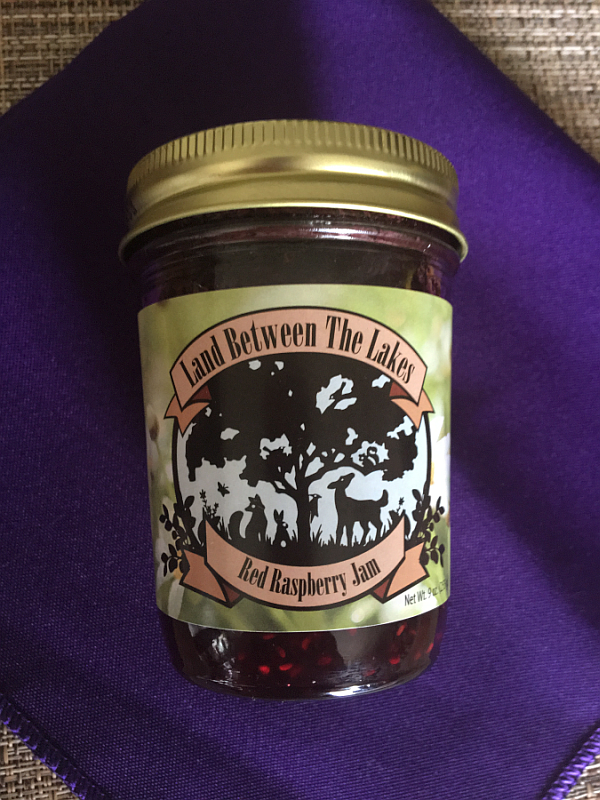 A while back, I wrote about the Land Between the Lakes Raspberry Jalapeno Jam (it is so good, you don’t even know). Like the jam I’m here to crow about today, I got it in the gift shop at The Homeplace in the LBL. This past weekend, we took a trip to The Homeplace (it was as wonderful as always!) and, before leaving, I did what I always do…. I hit the gift shop and hit it hard. I intended on getting another jar of the Raspberry Jalapeno Jam – in addition to trying another flavor. 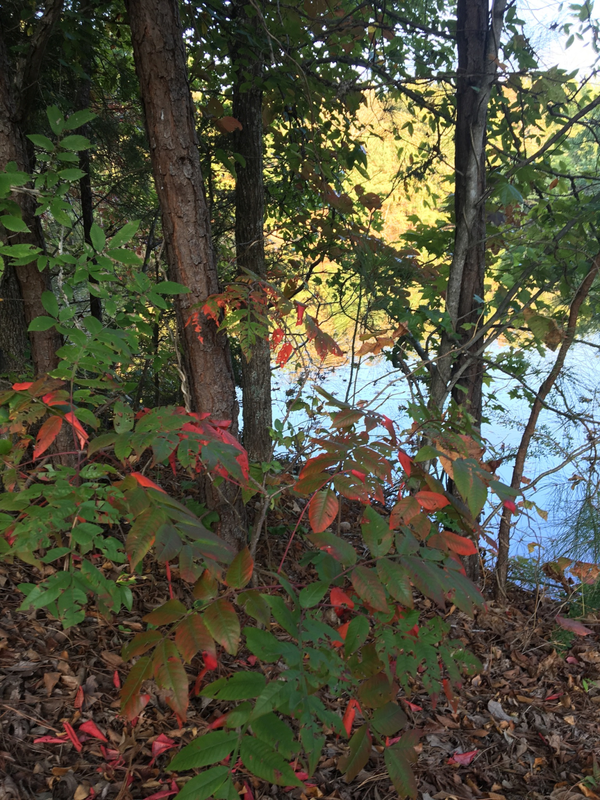 Unfortunately, I didn’t see a jar of the Raspberry Jalapeno Jam, but I did spy this beauty – Red Raspberry Jam. Raspberries are one of my favorite things in life, so I snatched this jar up before it knew what hit it. Before I start telling you about how delicious this jam is, I have to say how much I appreciate the completely reasonable price. Less than $4! I don’t have to tell you how it is in most gift shops, souvenir shops, and antique shops. They mark things up about as high as they conceivably can. Seems to me that it’s much cooler to make things affordable for your guests and visitors – allowing them to buy several things instead of popping on just one overpriced item. I love that The Homeplace has these jams marked so well within reason – for one thing, I love a bargain… but most of all, the fact that they’re inexpensive means I can buy several different flavors instead of trying to decide on one! I made cornbread to use for our first dive into this beautiful and delicious jam and it was a knock-out. A TOTAL knock-out. It was every bit as good as the Raspberry Jalapeno Jam and I will look for it as well on each trip to The Homeplace. The Next Lovely to Catch My Eye! The next time you visit The Homeplace, be sure to visit their wonderful gift shop before you leave. Find the shelves of these jams and – whatever you do! 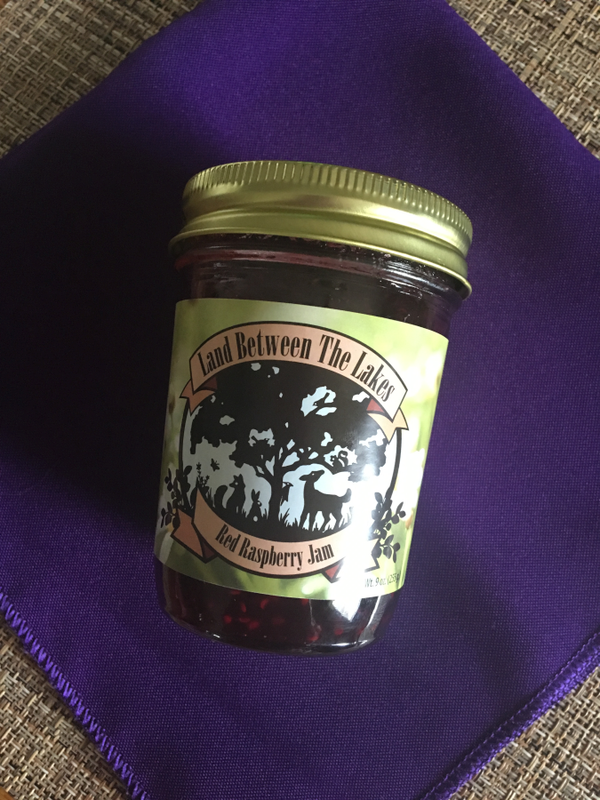 – grab a jar of the Red Raspberry AND the Raspberry Jalapeno jams. They are both out of this world. If you’ve ever been to Woodlands Nature Station in the Land Between the Lakes, you know why I say that… as a bird and animal lover… it’s one of my favorite places in the world. The bird-watching (and photographing, of course) can’t be beat. As my husband could attest, I could and do spend hours watching the beautiful birds while looking for just the right picture. Hummingbirds are just one of the beautiful birds that have the good sense to flock to the Nature Station. They know a great buffet when they see it! August is Hummingbird Month at Woodlands and if you’re anything like me, you won’t want to miss a single thing… or feather. Notice that reservations are required for nearly half of the programs.